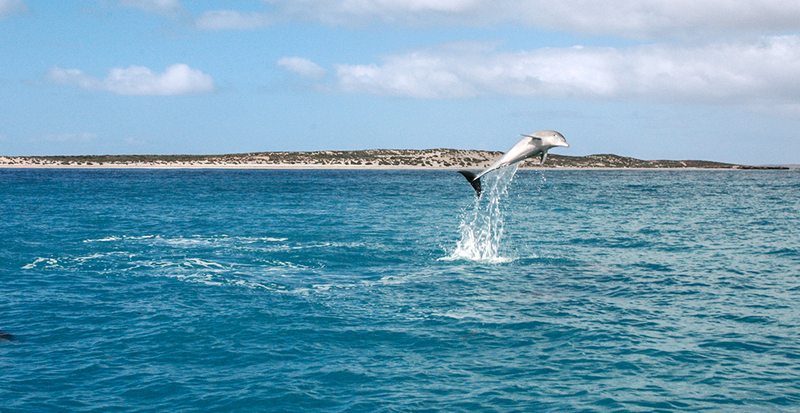 Western Australia’s beaches and bays have long been playgrounds for world-class surfers, avid boaters and devoted divers. While the best-known seaside retreats include popular beaches like Cable Beach in Broome and Cottesloe Beach in Perth, this state boasts several distinctive coastlines stretching over 7,700 miles. 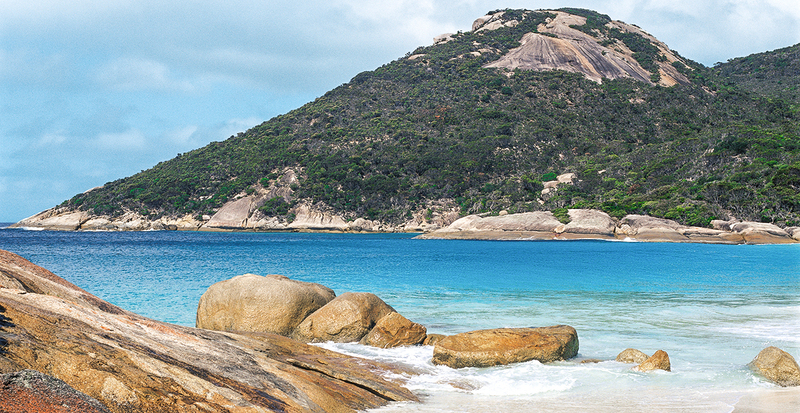 Follow us on a coastal journey along lesser-known shores, where you can easily discover quiet corners that you’ll have all to yourself, see Western Australia’s rare wonders, and bring home a lifetime of memories that belong entirely to you. Eighty Mile Beach is Western Australia’s longest uninterrupted stretch of shore at the confluence of the Great Sandy Desert and the Indian Ocean, giving the area great meaning in Aboriginal lore of the Nyangumarta people. 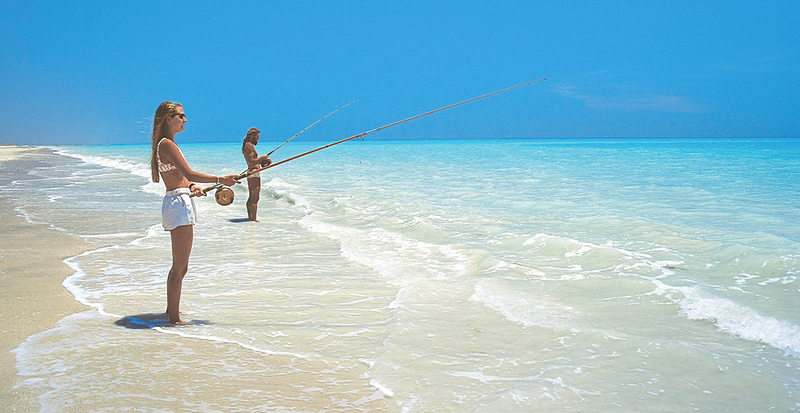 Its location near Broome in the Kimberley region is a key stop for half a million migratory birds on their flight path from the Arctic Circle and a choice fishing locale where you can cast for salmon as seagrass meadows rustle gently at your back. On the state’s Coral Coast, Ningaloo Reef is recognized as a World Heritage Site for the colorful coral fringing 160 total miles. Within this national park lies Turquoise Bay and its transparent shallow lagoons, ideal for gentle snorkeling among over 500 tropical marine species like vibrant parrotfish and green sea turtles. Try the local method known as “drift snorkeling” to be carried by the current from the reef’s southern end to a north-oriented sand bar. The shores of Shell Beach appear covered in extra-large grains of snow-white sand. But a closer look at this 60-mile stretch of beach in the Shark Bay World Heritage Area reveals a landscape that lives up to its name. The sand is entirely replaced by billions of cockle shells that proliferate in the saline-rich waters. 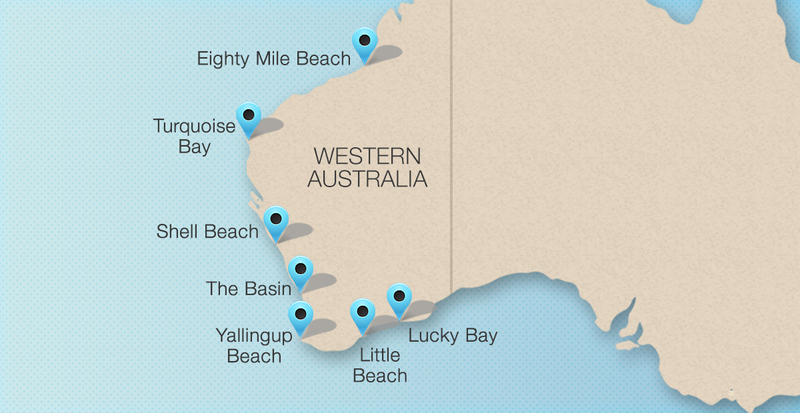 This stretch of the Peron Peninsula instills wonder as beachcombing kids sift through handfuls of the Shark Bay cockle shells that only exist in Western Australia. 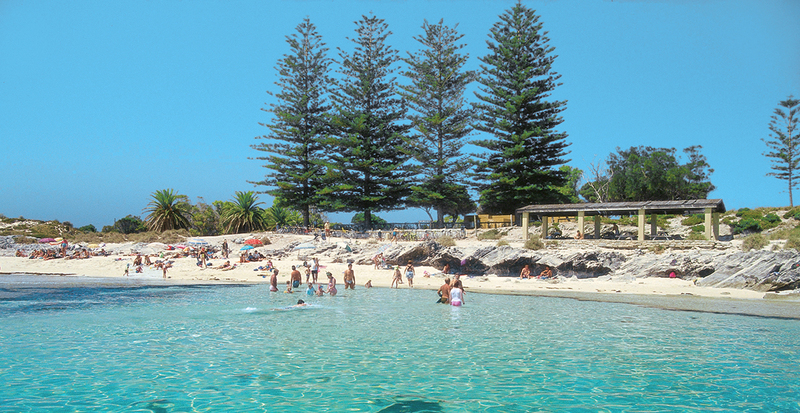 The Basin is our top pick for swimming, owing to its idyllic conditions on Rottnest Island, just a few miles offshore from Perth. This safe and kid-friendly spot is known for the large pool of sparkling water cut out of a shallow platform reef right off the beach. Wade in for a refreshing dip — the water is only waist-deep before gradually sloping to a depth of nine feet — or tiptoe along the surprisingly soft reef to peer into tidepools formed in the nooks and crannies. South of Perth, the town of Yallingup lies in the Margaret River region where wineries abut world-famous surf breaks, making it an ideal destination for all types of leisure-seekers. At Yallingup Beach, experienced wave riders can conquer beloved Three Bears or Injidup breaks, while beginners benefit from surf lessons or a laid-back dip in the sheltered lagoon. If you’re more of a spectator, the beach’s perch at the base of the Leeuwin-Naturaliste Ridge makes watching Aussie pros a sport of its own. Little Beach offers everything you’d expect of Australian shorelines: crystalline waters, alabaster sand and ethereal sunsets. Beneath the granite outcrops, the inviting bay is hidden within Two Peoples Nature Reserve for a secluded slice of paradise. For another seaside surprise, cross to the other side of the headland to find the even more remote Waterfall Beach. 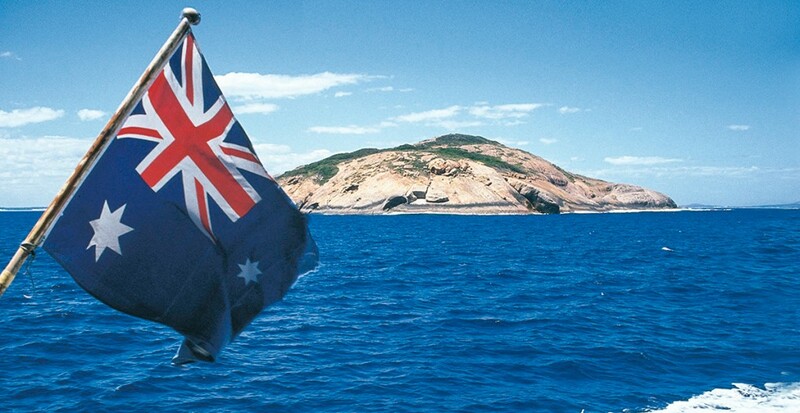 Famous for its pristine beaches with sugar-fine powder for sand, Cape Le Grand National Park is set near the seaside town of Esperance on the Southern Ocean coastline. 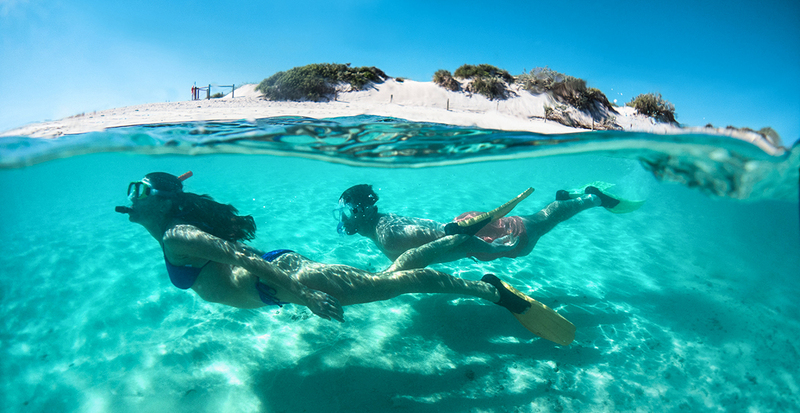 The purest of them all is Lucky Bay, where local lore says the supremely clean sand squeaks beneath your feet. 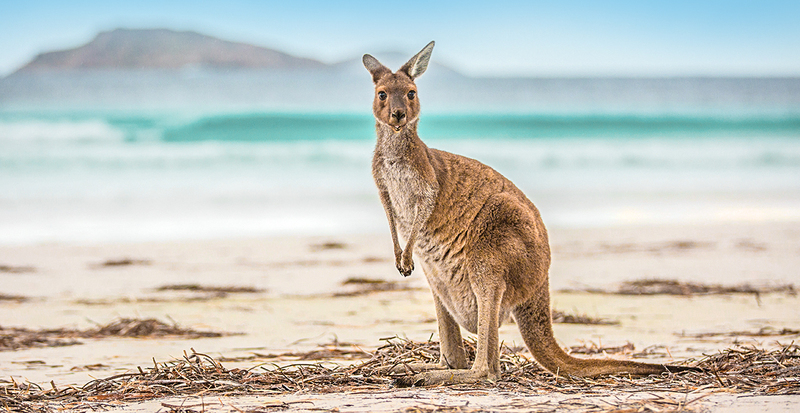 Join the kangaroos that lounge on Lucky Bay’s shores in gazing out at the Recherche Archipelago — you may even spot migrating humpback whales between July and October. 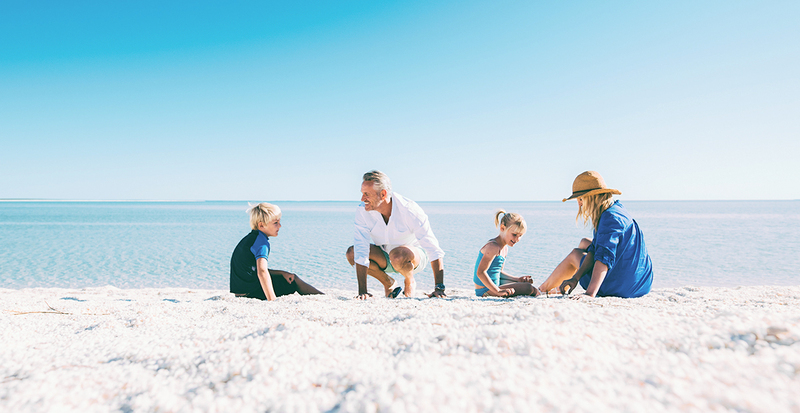 With a reputation for endless summer days and plenty of places to enjoy the balmy weather, you’re bound to discover your own version of a perfect beach day with your loved ones in Western Australia. 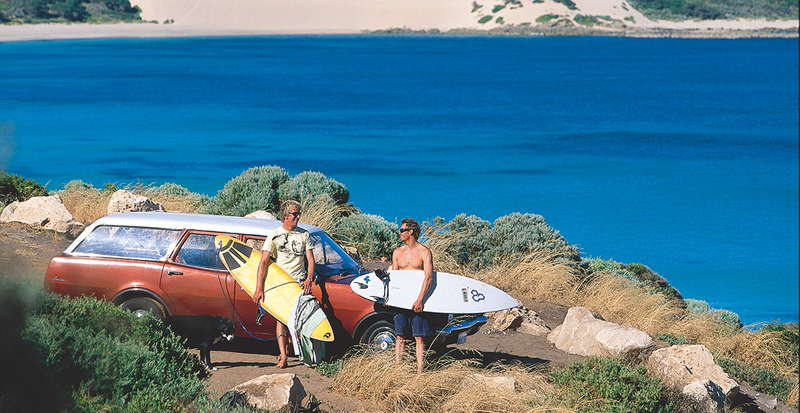 Let’s create your coast-to-coast exploration of Western Australia with plenty of surf and sun to please everyone.